This year’s Creative Con promises to be the biggest yet with a renewed focus on exploring the sequential art world through panel discussions and talks by the best featured guest talent we can tie down and an added emphasis on cosplay with a costume contest loaded with prizes! Oh, and did I mention this event is FREE to the public thanks to our presenting sponsor, the Bay County Public Library, so there’s no excuse to miss the fun! See the links down and to the left for any information and if you can’t find what you’re looking for, email Creative Con and we’ll help you out. Creative Con would like to welcome Teresa Roberts Logan as one of our Guests this year! Teresa Roberts Logan is a humor writer, Reuben Award nominated cartoonist (greeting card division) and featured standup comic on HBO, A&E,and the Comedy Channel, as well as the hit comedy DVD release “Thou Shalt Laugh,” from Warner Brothers. Her work was chosen to be in the nationally distributed comics paper “The CartoonCrier,” an anthology of cartoons about grief, from the Center for CartoonStudies. Her daily webcomic, FOG OF WORRY is at www.LaughingRedhead.me, and her original artwork is in the collections of Sherri Shepherd and Whoopi Goldberg. Her book of cartoons is published by Andrews McMeel Publishing, and is her mantra, “The Older I Get, The Less I Care.” (You can order it at Politics and Prose!) She enjoys being funny for a living, kayaking, and writing about herself in third person. Her site is www.LaughingRedhead.com. 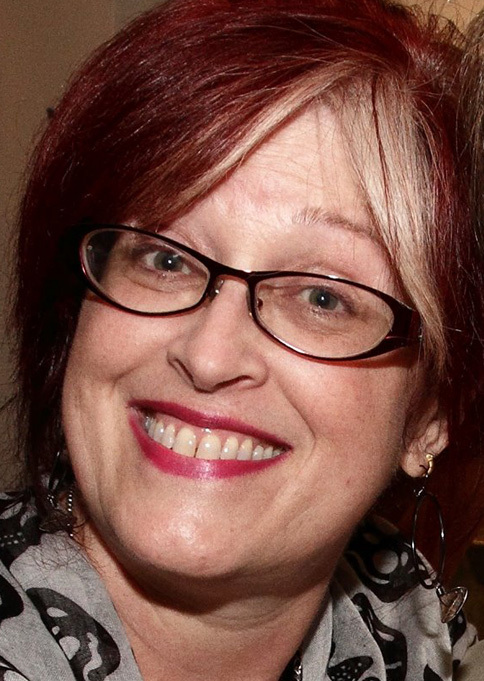 She is theChair of the DC Chapter of the National Cartoonists Society. See ya in August, Teresa!